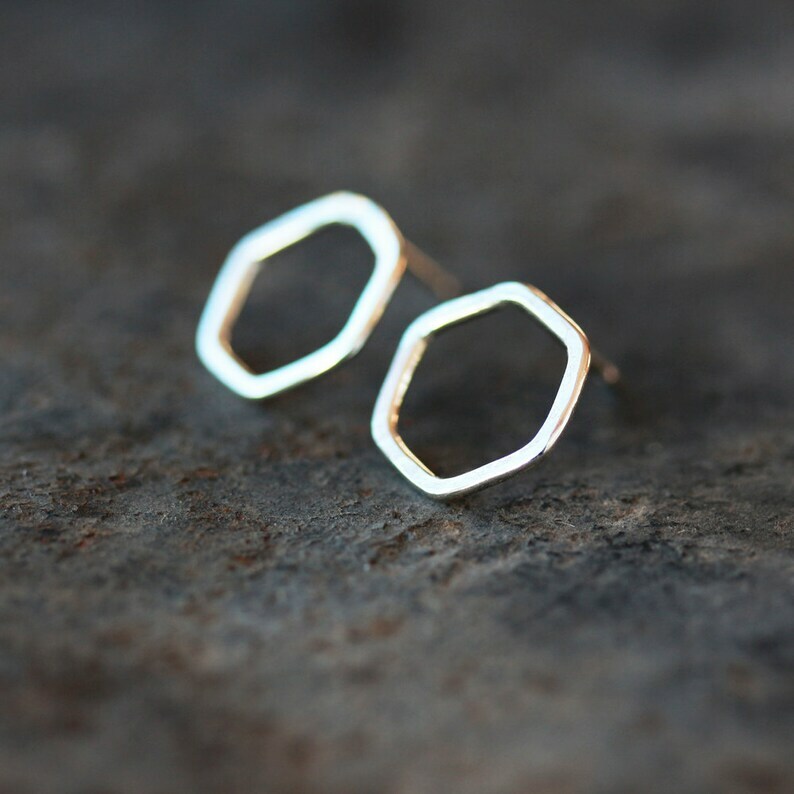 Open hexagons in bright sterling silver are hammered flat for a lovely, modern feel. They hang from silver posts soldered in place at the top of the geometric shape. 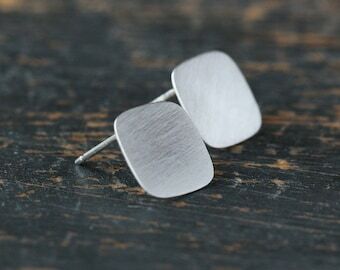 These are simple earrings that will move easily with you from day into evening. They're so easy to wear that you could forget you have them on. The hexagons measure approximately 1/2 inch in length and come with sterling silver wingnut backs.